Guthrie Douglas manufacture a variety of high-quality internal façade blinds for multiple commercial applications. Our blinds provide superior sun protection, such as temperature and light control. Structural glass walls are now the building envelopes of choice for most major commercial developments. Windows are an extremely visible element of the façade, and when selected well they can become a dominating feature of the building. It is therefore important that they paired with the correct blinds, for an elegant, professional look. 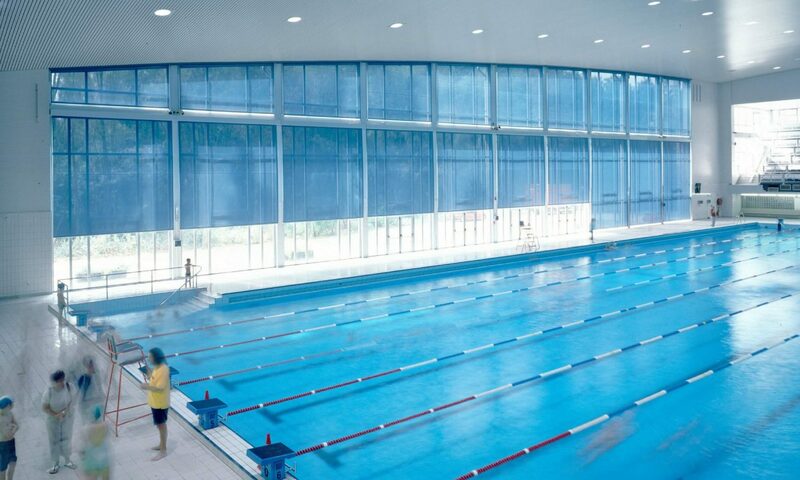 Internal fabric shading mitigates glare whilst complementing fixed external shading strategies. Our state of the art reflective fabrics can serve as an effective standalone shading strategy for internal facades. Whatever the angle or shape of the glass, TESSTM engineered roller systems can cover vast areas with single panels of fabric. Guthrie Douglas create blind systems tailored to your individual requirements. We do so by taking you through the entire design process from conception through to installation. Our blinds for internal façades can be designed for a variety of configurations with unlimited colour finishes. We also provide a wide range of fabrics and controls that are available to suit any building design. To find out more about our ranges of internal façade blinds, contact us at our head office today.